RC Tennis and RCC are partners with USTA Southern to host one of 15 Family Tennis Nights on the Courts across the South to introduce new family to the sport of tennis. 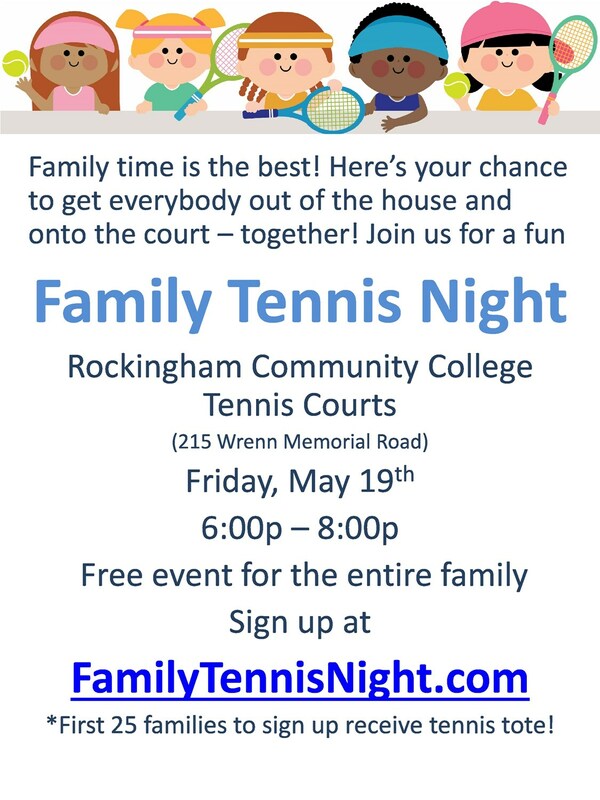 Meet RC Tennis coaches and volunteers on the courts at RCC for fun and games on Friday, May 19 from 6-8pm. The first 25 families to register online and participate receive a bag full of tennis goodies. Food, fun, and tennis for your family.